The President of the Republic of Ghana, H.E Nana Addo Dankwa Akufo-Addo has assured Ghanaians there would be no violence in 2020 during the presidential and parliamentary elections. 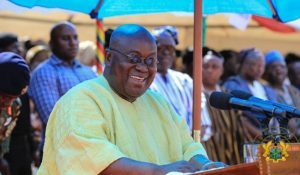 He also reiterated his commitment towards the disbandment of all political vigilante groups saying: That is why I am determined that, hopefully, the impending dialogue between the two major political parties, the New Patriotic Party and the National Democratic Congress, who, between them, regularly take more than 95% of the vote in elections, who have provided all the seven governments of the 4th Republic, and who are the only two parties currently represented in Parliament, should succeed.I’ll spare no effort including the initiation of the relevant legislation to ensure that we rid our nation of politically related violence.’’ I will spare no effort, including the initiation of the relevant legislation, to ensure that we rid our nation of politically-related violence. The president called for mutual respect from the opposing viewpoint under a multi party democracy.